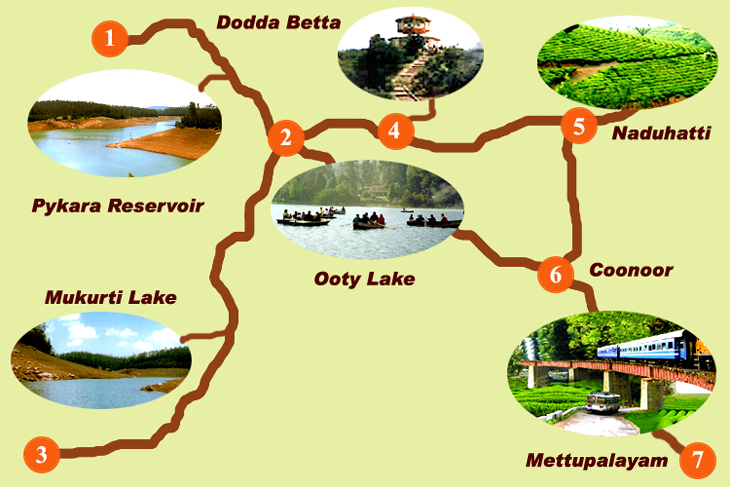 Getting around : Avalanche and Pykara can only be reached from Ooty, as there are no road links from Coonoor. The route is well covered by public & Private buses. An exciting alternative is the Nilgiri Blue Mountain Train, which runs from Mettupalayam to Ooty, via Conoor. © Map copyright 2005 www.Coonoor.com All Rights Reserved.